can you handle the cuteness? 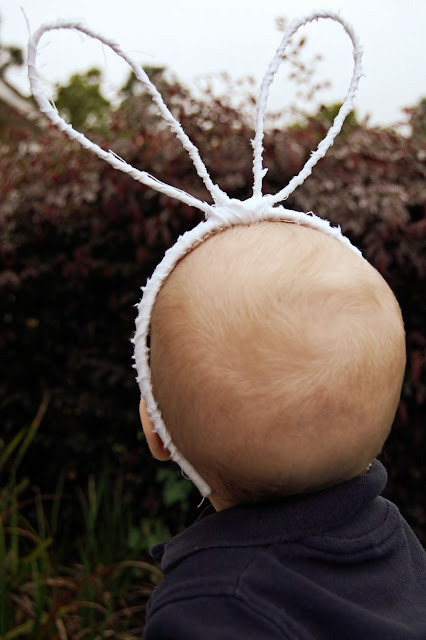 i'll start you off slow..
i wanted some kind of bunny ears for the babe for easter pictures..
but the ones i found were all too big. you can make some too.. ya know ya wanna! 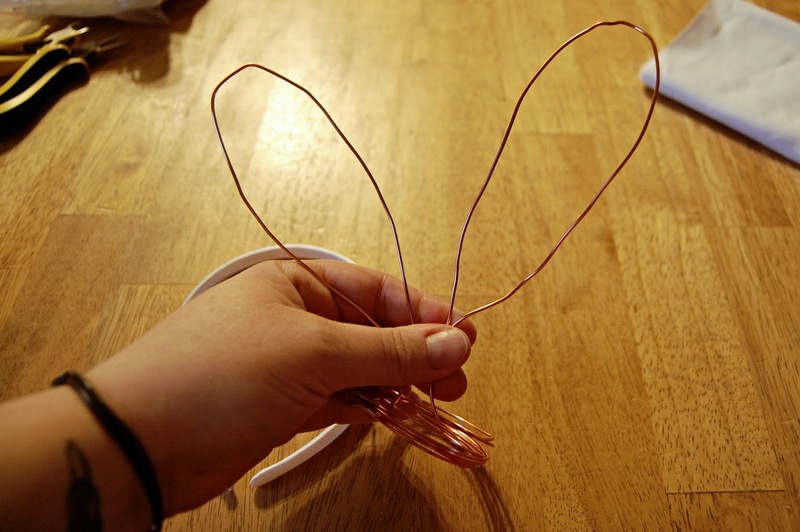 1. bend your wire to form bunny ears. leave extra wire on both sides of the ears to attach it to the headband. 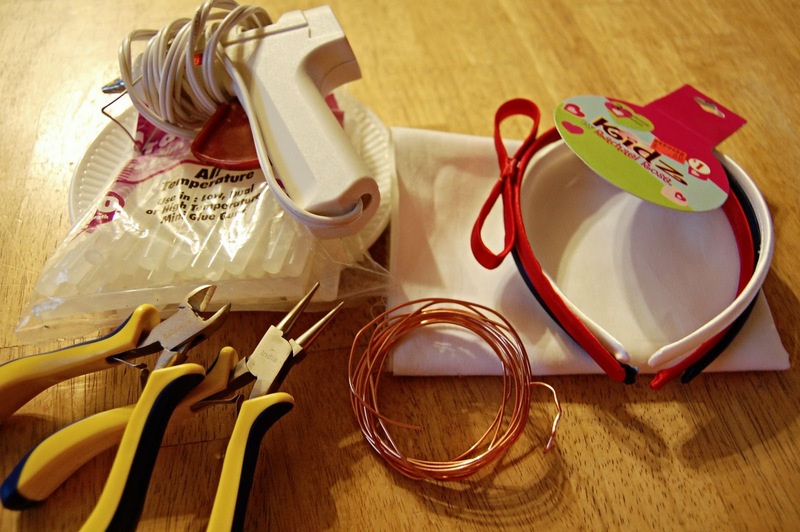 2. wrap the extra wire around the headband, coming back through the middle of the two ears. wrap each side around the bottom once, ending at the top & snipping off the extra. 3. ﻿tear strips about 1/2" wide down the length of your white fabric. 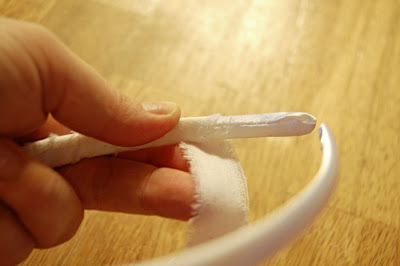 4. on the top of your headband, put a small dab of hot glue, towards the backside. 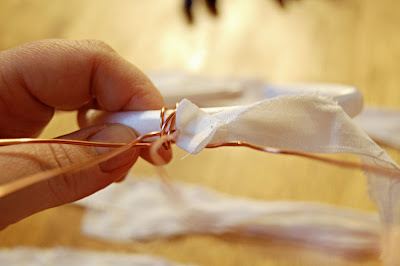 5. take one of your fabric strips & stick the end of it on top of the hot glue. 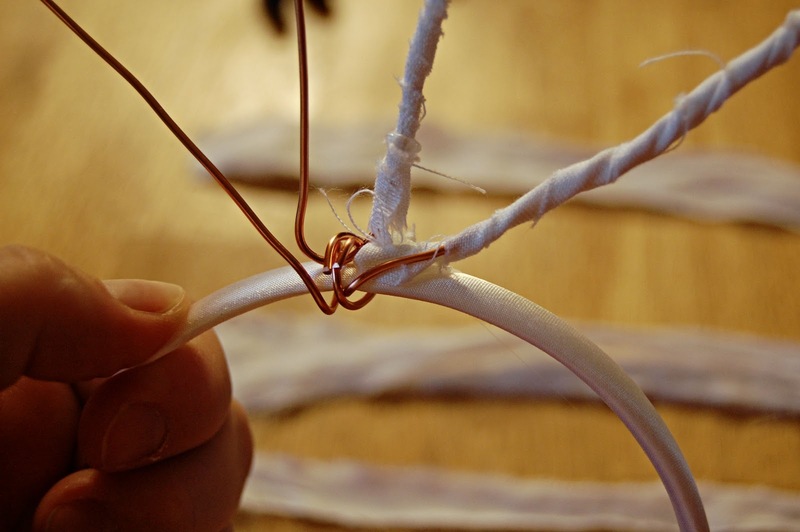 6. starting with the outside part of one ear, wrap your strip around the wire, ending on the inside part of the ear. 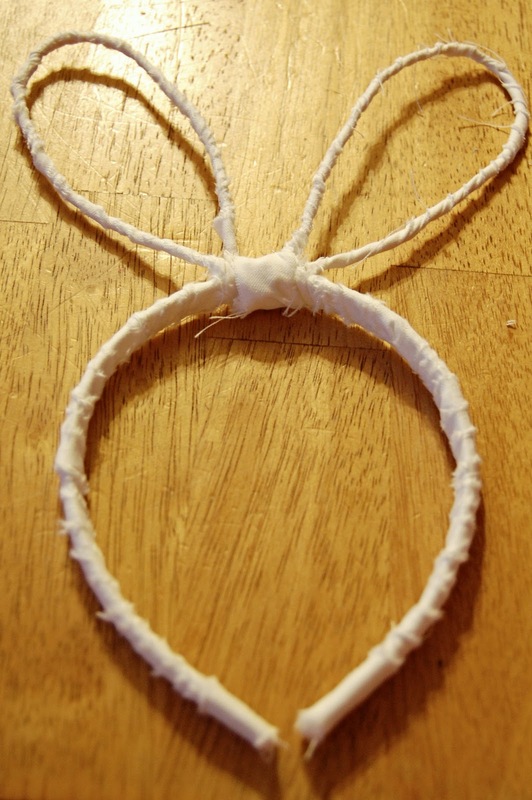 put a few small dots of hot glue as you wrap around to ensure that the strip doesn't come unwrapped. 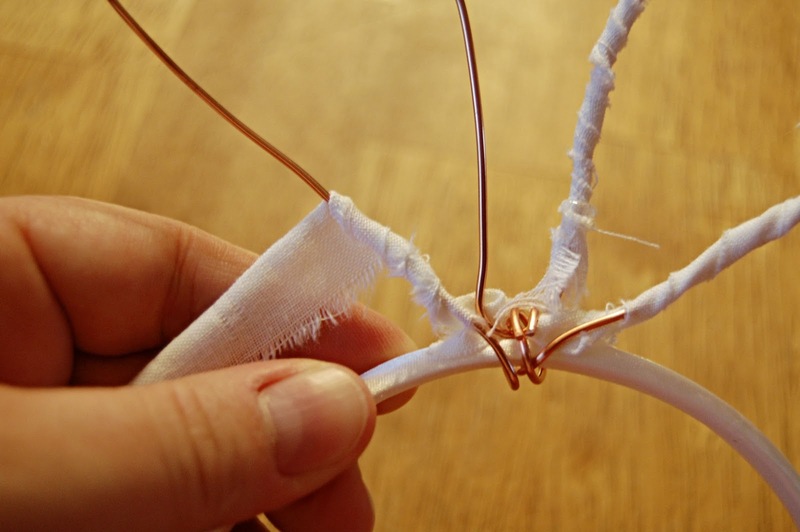 make sure you put a dab at the very top where the ear bends as well. 7. repeat above steps for remaining ear. 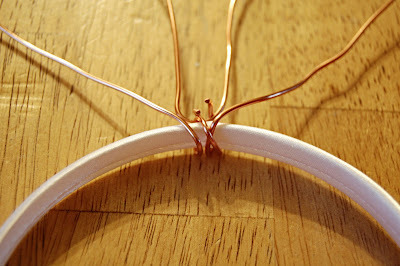 8. next, put a dab of hot glue on the underside of the headband where the wire sits. 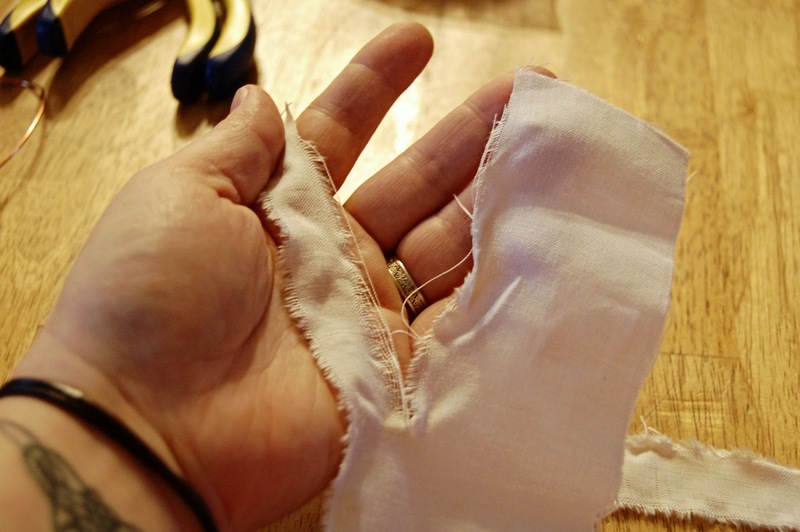 put the end of one strip on the bottom & wrap around to the back. make one complete loop around the wire to cover it, then continue out towards one end of the headband, passing through the middle of the ear as you pass by it. 9. continue wrapping around the headband, again adding dabs of hot glue to secure on the underside of the headband. snip off any extra fabric when you get to the end of the headband. 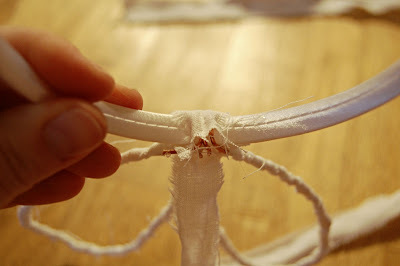 repeat last steps to cover the other side of the headband. i covered my entire headband because i wanted all the fabric to match. i dunno... maybe i'm partial..
but they are pretty dang cute.. These are so adorable! I love this idea! So cute, and the little guy is adorable! I love it! Ahhhh! So stinkin' cute!!!! 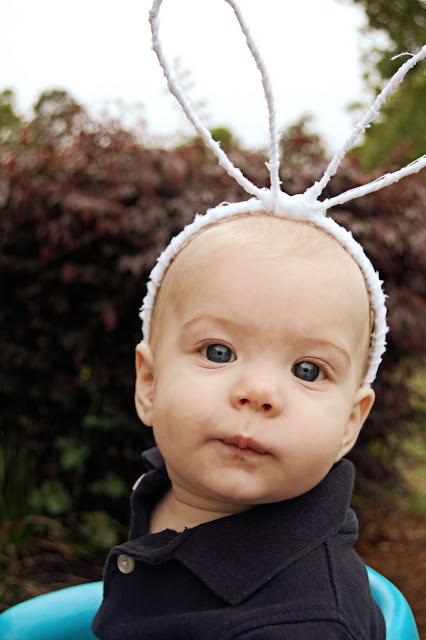 Your little man looks so adorable in his ears. 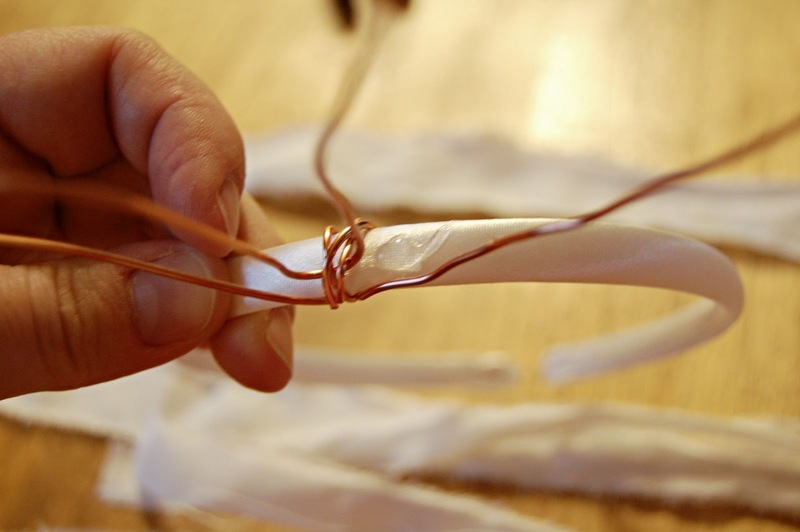 Creativity just drips from you! This made me so happy - I love them! !